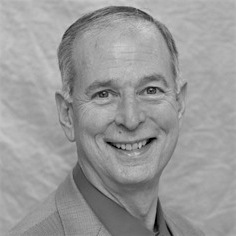 Andrew M. Leeds, Ph.D. is a licensed Psychologist with 40 years of private practice experience. He completed EMDR training in 1991. He has conducted EMDR training for 13,000 clinicians in the USA, Canada, Europe, and Japan and presented at numerous conferences. He is the author of the 2009 and 2016 book, A Guide to the Standard EMDR Therapy Protocols (2nd ed.) and numerous journal articles. He served as Director on the EMDRIA Board 2003-2005. He serves on the Journal of EMDR Editorial Board and is Director of Training for Sonoma Psychotherapy Training Institute, offering EMDRIA and EMDR Europe approved basic training in EMDR. In 1999 he received the Ronald Martinez Memorial Award from Francine Shapiro and EMDRIA's award for creative innovation and in 2013 EMDRIA's Francine Shapiro Award.